Sometime in '08-'09 I wrote the groove for this song on acoustic guitar and the lyrics quickly followed. 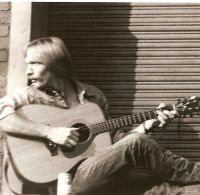 At that time I was into writing a different groove each time I picked up the guitar. (I wrote "November In California" in this manor at that time.) Lyrics were pouring out as fast as I could document them. That's an amazing sound you've got mixed here; really outstanding. At the risk of quoting floyd quoting me all I can say about this song is that from the top to tail - writing, arranging, performing, mixing - absolutely everything resonates with musical competence par excellence. Well it was worth the wait!! Loved the CSNY groove and cool changes. Nice tune... reminded me of Neil Young Down by the river as it started. Nice chord changes in there... at the end of the chorus. I just join the above said. your lyrics always remind me of something Don Henley might have written. You both make obscure references that I have to assume make sense at some level (what's a "wolf boy?") ... and the references that do make sense have an underlying suggestion that you've been there, done that, and now you're bored with it all. I don't know where you get your lyrical ideas, but in my opinion they are consistently interesting and unique. Gibson, I'm glad it was worth the wait. 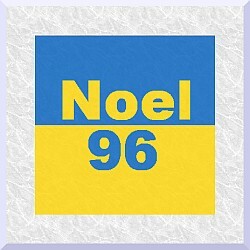 Noel96, If the mix is good well it only took a year lol. Skyline, I'm a big fan of CSNY. Guitarhacker, Wow! I just took a listen to a live version of "Down by the river" on youtube, an uncanny resemblance. I didn't add the phasey-overdrive until I sat down to record and was playing around with "guitar rig". I liked that particular preset and kept it. Pat, a wolf-boy is someone who is always looking for an opening to exploit or take advantage of. I suppose lol. It's all been said, just add me to the people who like the tune in every respect but especially like the changes, rhythm and style. I’m late to the party but I’m glad I came. This is a whole bunch of cool all rolled up into one. Your vocals are great! There is a surprising amount of talent in this forum (especially considering how few people post songs, really) and your vocals just blows the roof off the whole thing. The songwriting is tremendous, as well. You have a great knack for letting your influences show but not get in the way. This one has a bunch of Henley mixed with some Boz Skaggs polished off with that gruverider blender. Great groove. Really interesting lyric. Melody galore! Love it! (the song begs for some Boz background singers - but that's not easy to achieve - and beside the point). You deserve all that glowing praise - I join in on that! Enough of my babbling... I LOVE your work! I am a huge fan! Floyd, I do think I know what you mean. I worked on it a long time because I was never satisfied with it. In my last mix I removed almost all of the reverb searching for something. 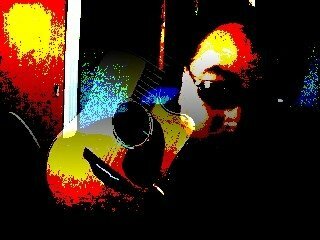 When I play it live it's just me and my Takamine and it is engaging. My best guess is perhaps the tempo. If I didn't have to re-record the whole thing I would try raising the tempo. But I've got 12 new songs that I want to record so it's time for me to move on. I so appreciate your comments and everyone who takes time to listen and comment. This one nearly slipped past me, but I'm glad I caught it. I agree with everyone else that this is one super song and a very professional package. However, I also have to agree with Floyd that it needs a bit of "Magic Dust" sprinkling on it. Like Floyd, it's difficult to know what it is, but I agree that the drums are very dry and a bigger snare with a touch of reverb might help. Similarly, the vocal could maybe stand a bright reverb to give it a lift. The only other thing is that when listening on headphones, the organ appears to be heavily panned right and I would have preferred a swirling stereo Leslie effect. I think this could really set the backing alight. Having said all this, it's still a brilliant track, which I really enjoyed listening to several times. Thanks for posting. ROG, thank you for the input. I do have some hearing loss in my right ear and that may be the reason for the panning of the organ. I have struggled to give this recording a little more punch but have not been able to find the "key". Thank you for listening and giving me your feedback. If you have any spcific ideas I welcome them. I've been out for a couple weeks, and almost missed this one. Glad I didn't! Very nice write, performance and production. It'a all been said, and I agree!